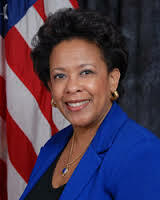 By Mike Koehler on November 11, 2014 in Compliance, Enforcement Agency Policy, Enforcement Agency Speeches, Morgan Stanley, Ralph Lauren Corp.
President Obama nominated Loretta Lynch (U.S. Attorney, Eastern District of New York) to be the next Attorney General. This post highlights Lynch’s responses to various Foreign Corrupt Practices Act or FCPA related questions originally posed in this September/October 2013 Q&A with the Society of Corporate Compliance and Ethics’ magazine Compliance & Ethics Professional and posted on the DOJ’s website. In the Q&A, Lynch speaks generally about corruption and compliance and specifically about Morgan Stanley’s so-called “declination” and the FCPA enforcement action against Ralph Lauren. For additional information on Morgan Stanley’s so-called “declination” (see here and here) and for additional information on the Ralph Lauren enforcement action (see here, here and here). Q: What did you learn about compliance programs, good and bad, in your [prior private] practice? parameters for whether one has an effective or ineffective compliance program. And by effective, I don’t mean a program in a company where there is never any wrongdoing, because that company does not exist. If there is one message I’d like to leave with corporate America, it is that the government actually does understand that things can and will go wrong, even where there is a strong compliance program. Every company develops issues. It’s how you deal with them that defines your corporate culture and informs me if you are serious about fixing the problem and preventing it from recurring going forward. Q: One of the things that strikes me about your career in the U.S. Attorney’s Office is that fighting corruption has been an ongoing focus. And, it’s notable to point out that we’re not just talking about the Foreign Corrupt Practices Act (FCPA), but also corruption here in the U.S. Are there common threads that you see among government corruption cases everywhere? thread is that someone in power loses their connection to the constituency they are supposed to serve, whether citizens or shareholders. When government officials engage in self-dealing, when they abdicate their responsibility, when they succumb to greed, the average citizen pays for it dearly and on many levels. Constituents everywhere end up spending more for services—infrastructure, healthcare, education—and sometimes have to go without these vital services, when government officials line their own pockets with public funds. Law-abiding companies here in the U.S. and abroad are placed at a competitive disadvantage when business is won or lost based on bribes, not the quality of a company’s products and services. And because corruption involves, at its heart, the breaking of a trust relationship, its ramifications often go far beyond the financial. Corruption infects society as a whole, increasing the level of cynicism and distrust that constituents have about their elected officials and government processes. In this way, corruption also impacts those government officials who are truly trying to do the right thing. They get tarred with the same brush. We all deserve honest and effective representation, and my office is committed to investigating and prosecuting those who trade on the trust we place in them to enrich themselves, who let greed get in the way of helping the people that they represent. Q: The Morgan Stanley FCPA case was a very high-profile declination by main Justice and your U.S. Attorney’s Office. They don’t come that often, and it’s very rare to see compliance efforts cited so widely as the reason why. Can you give a brief description of the case for those who are not familiar with it? A: Absolutely. In April of 2012, my office and the Department of Justice’s (DOJ) fraud section prosecuted Garth Peterson, the former Managing Director in charge of the Morgan Stanley’s real estate group in Shanghai, China. Peterson had engaged in a conspiracy to sell an ownership interest in a Shanghai building owned by Morgan Stanley to a local government official who had provided assistance to Peterson in securing business for Morgan Stanley in China. During the conspiracy, Peterson repeatedly and falsely told Morgan Stanley that the corporation buying the ownership interest in the building was owned by the Shanghai government when, in fact, it was owned by Peterson and the local government official, among others. By lying and providing false information to Morgan Stanley, Peterson was circumventing the company’s internal controls, which were created and intended to prevent FCPA violations. Peterson was charged with one count of conspiring to circumvent Morgan Stanley’s internal controls, and after pleading guilty, he was ultimately was sentenced to a period of incarceration. We declined to take any action against Morgan Stanley in that case. Q: Again, what’s notable is that it was the first major FCPA case I can recall in which there was a public declination, and just as importantly, the compliance program was cited so publicly as a major part of the reason why. In fact, it’s hard to remember many cases of any type in which the compliance program’s effectiveness was cited so publicly, which suggests to me that even people without FCPA risks should take note. What made this case so different? public. We concluded that Peterson was the quintessential “rogue employee” who schemed to affirmatively sidestep compliance because he knew his behavior would not be countenanced. Every company says its bad actors are “rogues,” and that they do not promote corruption, but at Morgan Stanley we could see it. There was a stark contrast between the bank’s corporate culture and Peterson’s actions. This presented a fundamentally different situation from companies that say they don’t tolerate wrongdoing, yet push employees to meet goals and quotas overseas with little to no guidance on the risks and consequences. It was fundamentally different from companies who distance themselves from their agents and consultants overseas, and then argue that they have to “go along” to avoid being disadvantaged in overseas markets. And it was fundamentally different from companies that say “That’s not who we are,” yet have nothing on record that informs me otherwise. What we saw was that Morgan Stanley conducted extensive due diligence with respect to the sale that Peterson orchestrated. left unchanged over time, without regard to changes in the company’s business or the increasing complexity of transactions. When we looked at Morgan Stanley, we also saw a bank that invested resources, that had internal controls in place to ensure accountability, that regularly monitored transactions, and that randomly audited employees, transactions, and business units. This case stands out because it also touched on a common complaint in the FCPA world, and that is the supposed lack of transparency regarding the government’s consideration of a company’s compliance efforts in making charging decisions. The lengthy description of Morgan Stanley’s compliance program in the Peterson charging document was a deliberate response to that criticism. The Peterson case was even cited for that purpose in the FCPA Resource Guide prepared by DOJ and the Securities and Exchange Commission (SEC) in November 2012. Q: What should compliance professionals take away as key learning from that case? A: There are actually two “takeaways” in this case. The first is that the government will aggressively pursue those who engage in criminal conduct involving corporate corruption. The second is that companies that employ robust and effective compliance programs are not only better able to detect and identify potential compliance issues that may negatively affect the company’s business and reputation, but also those unusual instances where an employee is intent on circumventing a company’s internal controls. An added benefit for a company that employs a robust compliance program is that the company will be in a better position to address concerns raised by regulators or the government, if the company’s conduct ever comes under scrutiny. Morgan Stanley was able to demonstrate that Peterson truly was a “rogue,” that he had betrayed them, and he had rejected their culture of compliance. Q: More recently we had the declination in the Ralph Lauren case. In that case, Ralph Lauren discovered questionable payments by a third party working on their behalf in Argentina. You were the US attorney on that case as well. What were some of the factors that led to the decision not to prosecute? A: Actually we did not decline prosecution in that case. Rather, we entered into a non-prosecution agreement with Ralph Lauren. The agreement is for a two-year term and requires the implementation of various corporate reforms. Ralph Lauren also paid an $882,000 penalty to the DOJ and disgorged $700,000 in ill-gotten gains and interest to the SEC. There were several reasons for that outcome. Ralph Lauren discovered criminal conduct involving violations of the FCPA while it was in the midst of trying to improve its internal controls and compliance worldwide. Our investigation revealed that, over the course of five years, the manager of Ralph Lauren’s subsidiary in Argentina had made roughly $580,000 in corrupt payments to customs officials for unwarranted benefits, like obtaining entry for its products into the country without the necessary paperwork or without any inspection at all. The bribes were funneled through a customs broker who, at the manager’s direction, created fictitious invoices that were paid by Ralph Lauren in order to cover up the scheme. It was also very significant that Ralph Lauren implemented a host of extensive, remedial measures, including the termination of employees engaged in the wrongdoing, and improvements in internal controls and compliance programs. Finally, we took into account that they swiftly and voluntarily disclosed the conduct to the government and the SEC. The company first self-reported the misconduct to the government within two weeks of discovering it. They basically did everything that a company that finds itself in that unfortunate situation can possibly do. Q: This was the first time the SEC publicly stated it would not proceed. What got their attention and led to the decision? A: I cannot speak for the SEC, but we do typically have parallel investigations of FCPA violations, and I believe that they were swayed by the same factors that we were. Although Ralph Lauren did not have an anti-corruption program and did not provide any anticorruption training or oversight during the five-year span of the conspiracy, all of the government agencies investigating the case were impressed with their resulting commitment to compliance in this area globally, as well as their self-disclosure and full cooperation. Q: Finally, are we seeing the start of a new era in which compliance programs are going to be looked at more closely by prosecutors? And, just as importantly, will good programs earn organizations public credit for their efforts? A: Absolutely. Compliance is the lens through which we view your company. A robust compliance program demonstrates to us that the company “gets it.” Making your compliance program a top priority is an investment a company can’t afford not to make. To put it more bluntly, by the time you have a problem that has drawn the government’s attention, under our principles and guidelines that govern corporate prosecutions, the existence of a robust compliance program can save you, as in the Morgan Stanley case. When Is It Strategically Wise (or Not) to Self-Report FCPA Violations to the SEC? The Foreign Corrupt Practices Act often intersects with other disciplines and it is refreshing to read how others see this current era of FCPA enforcement including the resolution vehicles used to resolve enforcement actions as well as government policy relevant to such resolution vehicles. Below is the abstract and the article can be downloaded here. “In 2013, the SEC announced a non-prosecution agreement (“NPA”) with Ralph Lauren Corporation in connection with bribes paid to government officials in Argentina. The SEC decided not to charge the corporation with violations of the Foreign Corrupt Practices Act due to the company’s response to the situation, including: (1) the prompt reporting of the violations on its own initiative; (2) the completeness of the information provided; and (3) the “extensive, thorough, and real-time cooperation” put forth during the SEC investigation. While the SEC and various legal commentators suggest the case stands for the proposition that “substantial and tangible” benefits will accrue to companies that self-report FCPA violations and cooperate fully with the SEC, this article arrives at a very different assessment of the matter. Specifically, the article suggests that (1) it might not have been a good idea, from a business perspective, for Ralph Lauren Corporation to self-report the potential violation to the SEC; and (2) the non-prosecution agreement negotiated to resolve the matter — the SEC’s first-ever NPA awarded in an FCPA case — also might not have been in the best interest of the company. In other words, this article suggests that, under current SEC policy, a company’s ability and willingness to self-report to and cooperate with the government is not always strategically wise in the context of FCPA enforcement. Most admired, from the U.K., one way to avoid judicial scrutiny is to avoid the courts, another DOJ official departs, scrutiny updates, and survey says. It’s all here in the Friday roundup. Are companies that resolve a Foreign Corrupt Practices Act enforcement or are otherwise under FCPA scrutiny bad or unethical companies? To be sure, certain companies that have resolved FCPA enforcement actions are deserving of this label, yet most are not. Indeed, as detailed in this prior post several companies have earned designation as “World Most Ethical Companies” during the same general time period relevant to an enforcement action or instance of FCPA scrutiny. In a similar vein, several FCPA violators or companies under FCPA scrutiny can be found on Fortune’s recent “Most Admired Company” list. In the top 50, I count 12 such companies including IBM, Johnson & Johnson, Microsoft, Wal-Mart, JPMorgan, and Cisco. Let’s face it, not all companies that resolve FCPA enforcement actions or are under FCPA scrutiny are bad or unethical companies. If more people would realize this and accept this fact, perhaps a substantive discussion could take place regarding FCPA reform absent the misinformed rhetoric. In this October 2013 post at the beginning of the U.K. trial of former News Corp. executives Rebekah Brooks, the former editor of News of the World, and Andy Coulson, another former News of the World editor, I observed as follows. Well …, this Wall Street Journal article reports as follows. As noted in this previous post at the beginning of News Corp.’s FCPA scrutiny, any suggestion that the media industry is somehow excluded from the FCPA’s prohibitions is entirely off-base. In recent years, the SEC has had some notable struggles in the FCPA context and otherwise when put to its burden of proof in litigated actions or otherwise having to defend its settlement policies to federal court judges. For instance, Judge Shira Scheindlin (S.D.N.Y.) dismissed the SEC’s FCPA enforcement against former Siemens executive Herbert Steffen. In another FCPA enforcement action, Judge Keith Ellison (S.D.Tex.) granted without prejudice Mark Jackson and James Ruehlen’s motion to dismiss the SEC’s claims that sought monetary damages. In Gabelli, the Supreme Court unanimously rejected the SEC’s statute of limitations position. Judge Richard Leon (D.D.C.) expressed concerns regarding the SEC’s settlement of FCPA enforcement actions against Tyco and IBM and approved the settlements only after imposing additional reporting requirements on the companies. In addition, the SEC’s neither admit nor deny settlement policy has been questioned by several judges (most notably Judge Jed Rakoff) and the merits of this policy is currently before the Second Circuit. The SEC’s response to this judicial scrutiny has been, as strange as it may sound, to bypass the judicial system altogether when resolving many of its enforcement actions including in the FCPA context. As detailed in this previous post concerning SEC FCPA enforcement in 2013, of the 8 corporate enforcement actions from 2013, 3 enforcement actions were administrative actions (Philips Electronics, Total, and Stryker) and 1 action (Ralph Lauren) was a non-prosecution agreement. In other words, there was no judicial scrutiny of 50% of SEC FCPA enforcement actions from 2013. Based on recent statements from SEC officials at the “SEC Speaks” conference this trend is going to continue. SEC administrative settlements in the FCPA context were rare prior to 2010 largely because the SEC could not impose monetary penalties in such proceedings absent certain exceptions. However, the Dodd-Frank Wall Street Reform Act granted the SEC broad authority to impose civil monetary penalties in administrative proceedings in which the SEC staff seeks a cease-and-desist order. However, Congress’s grant of such authority to the SEC – no doubt politically popular in the aftermath of the so-called financial crisis – has directly resulted in less judicial scrutiny of SEC enforcement theories including in the FCPA context. Like so much of what is happening in the FCPA space (and government regulation of corporate conduct generally), this is a troubling development. “Turning to the area of cooperation credit and non-prosecution agreements (NPAs), Chief Brockmeyer stated that the 2013 Ralph Lauren case is a good example of where such an outcome was warranted. Several factors that weighed in favor of that favorable NPA settlement resulted from the company: self-reporting the suspected bribery within two weeks of finding violations; discovering the violations on its own through internal monitoring activities; assisting the SEC’s investigation by providing English language translations of foreign documents, and bringing witnesses to the United States for questioning; and undertaking extensive remediation efforts, including a worldwide investigation to determine if there were any systemic issues. Finally, Chief Brockmeyer added that it was significant that Ralph Lauren’s investigation determined that the bribery issues were confined to one country; if the violations were found to be more widespread, the company would likely still have received cooperation credit, but would not have been a candidate for a NPA. Chief Brockmeyer stated that the SEC will continue to address Compliance Monitorship requirements on a case-by-case basis. Recently, the SEC has imposed both “full” monitorships, as well as some “hybrid” monitorships that include 18 months of monitoring, combined with 18 months of self-monitoring by the company. She noted that some companies might even qualify for just internal monitoring, but all these considerations depend heavily on the state of the company’s compliance program. When Lanny Breuer departed as DOJ Assistant Attorney Criminal Division in March 2013, Mythili Raman became Acting Assistant Attorney and carried forward much of the same rhetoric Breuer frequently articulated concerning the DOJ’s FCPA enforcement program. (See here for my article “Lanny Breuer and Foreign Corrupt Practices Act Enforcement). Like other DOJ FCPA officials before her, Raman frequently highlighted certain enforcement statistics, yet conveniently ignored the most telling enforcement statistic of all – the DOJ’s dismal record when actually put to its burden of proof in FCPA enforcement actions. In short, for a long time the DOJ’s FCPA Unit has had a distorted view of success. Certainly, the DOJ and SEC have had “success” in this new era of FCPA enforcement exercising leverage and securing large corporate FCPA settlements against risk-averse corporations through resolution vehicles often not subjected to any meaningful judicial scrutiny. However, by focusing on the quantity of FCPA enforcement, the quality of that enforcement is often left unexplored. The simplistic notion advanced by the enforcement agencies seems to be that more FCPA enforcement is an inherent good regardless of enforcement theories, regardless of resolution vehicles, and regardless of actual outcomes when put to its burden of proof. This logic is troubling and ought to be rejected. In a legal system founded on the rule of law, a more meaningful form of government enforcement agency success is prevailing in the context of an adversarial system when put to the burden of proof. As to this form of success, during this new era of FCPA enforcement, the DOJ and SEC have had far less “success” in enforcing the FCPA. Recently the DOJ announced that Raman is departing from her position. (See here). In this related Q&A with the Wall Street Journal Law Blog (LB) Raman confirmed that the DOJ measures success in terms of quantity without regard to quality. LB: [On enforcement of the Foreign Corrupt Practices Act, which has increased in recent years] do you think you’re winning? Are there fewer bribes being paid now? MR: We often measure our success by numbers of enforcement actions but actually at the end of the day…. the deterrent effect is what actually matters. I don’t know if fewer bribes are being paid or not. But I do know that there are many more companies who know what their obligations are now. For additional coverage of Raman’s departure, see here and here. Bio-Rad Laboratories disclosed as follows yesterday in an earnings release. The American Chamber of Commerce in Shanghai recently released its China Business Report (2013-2014). As I’ve frequently stated, the root causes of much bribery and corruption are various trade barriers and distortions. These barriers and distortions – whether complex customs procedures, import documentation and inspection requirements, local sponsor or other third-party requirements, arcane licensing and certification requirements, quality standards that require product testing and inspection visits, or other foreign government procurement practices – all serve as breeding grounds for harassment bribes to be requested. Simply put, trade barriers and distortions create bureaucracy. Bureaucracy creates points of contact with foreign officials. Points of contact with foreign officials create discretion. Discretion creates the opportunity for a foreign official to misuse their position by making demand bribes. “Efforts by the Chinese government to target companies for corruption investigations have sharply increased companies’ concern over compliance with China’s laws and regulations. In 2013, 46 percent of companies said compliance with domestic laws was more important to their business, up from 31 percent in 2012, compared to international anti-bribery laws such as the FCPA (32 percent). The impetus for much of this concern is the result of GSK’s (and other pharma and healthcare related companies) scrutiny by Chinese authorities for alleged improper business practices. (See here for the prior post). By Mike Koehler on May 9, 2013 in Parent – Subsidiary Issues, Ralph Lauren Corp. This prior post summarizing the recent Ralph Lauren enforcement action noted that there was no allegation or suggestion that Ralph Lauren Corporation (RLC”) was aware of, or participated in, the alleged improper conduct. The same could be said of many FCPA enforcement actions against a parent company – resolved via a non-prosecution and deferred prosecution agreement – based on foreign subsidiary conduct. Respondeat superior corporate criminal liability is broad, but not this broad. Absent an “alter ego” / “piercing the veil” analysis, legal liability of any kind does not ordinary hop, skip, and jump around a multinational enterprise as the DOJ or SEC see fit. In this prior post, I collected RLC enforcement action commentary hits and misses. Contrary to many, I found nothing to trumpet in the RLC enforcement action, but much to lament. There has been another “hit” when it comes to RLC enforcement action commentary, and this one is a home run. It comes from former DOJ Assistant Chief of the Fraud Section Philip Urofsky (currently a partner at Shearman & Sterling). Urofksy has always been one of the best, most insightful, FCPA commentators. His writings were cited in my article the “Facade of FCPA Enforcement,” his critiques of DOJ enforcement theories (such as jurisdictional issues and obtain or retain business) have frequently been highlighted on these pages – see here for instance. In short, when Urofsky writes, given his prior experience and insight, we really ought to read and take notice. His latest is “The Ralph Lauren FCPA Case: Are There Any Limits to Parent Corporation Liability?” recently published in Bloomberg BNA’s Securities Law Daily. Urofsky and his co-author state, in pertinent part, as follows. In conclusion, the article states as follows. I can write about the “facade of FCPA enforcement,” legislative history, how many FCPA enforcement actions seemingly violate basic black-letter principles and the like until the cows come home.